Los Angeles Police Shooting Parallels Red Arrow Park Shooting | Hupy and Abraham, S.C. In an event similar to the Red Arrow Park shooting of Dontre Hamilton, Los Angeles police officers fatally shot an unarmed black man who allegedly tried to forcibly obtain an officer’s weapon. The victim’s family and officers have different versions of events. 25-year-old Ezell Ford, who suffered from mental health issues, was shot three times by two LAPD officers in the right side, arm and back. He eventually died from his wounds. Neither officer was harmed in the altercation. Those details are indisputable. The rest depends on who you ask. The officers involved in the shooting claim they were conducting “an investigative stop” during which “a struggle ensued” as Ford violently fought them for control of the officer’s gun. On the other hand, Ford’s mother Tritobia claims he was complying with the officers’ instructions, lying on the ground when they opened fire. Tritobia Ford also says police refused to tell her where Ford was hospitalized in the immediate aftermath. An LAPD supervisor at the scene denies that anyone was refused any information. If you believe the officers’ version of events, it seems like a reasonable use of deadly force in self-defense. 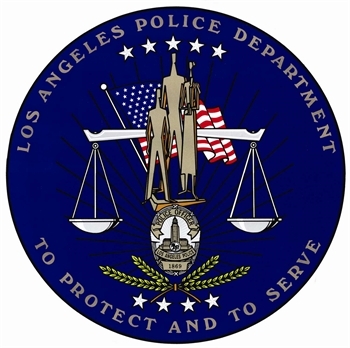 The joint investigation of the LAPD and the Los Angeles County District Attorney’s Office is still ongoing. Discipline against the officers will not be considered until the investigation is complete. This incident happened just two days after the Ferguson, Missouri shooting that sparked national protests. Citizens of Los Angeles have also protested the Ezell Ford shooting and temporary barricades, since removed, were set up to keep protesters away from LAPD headquarters. Ford’s parents have filed a federal civil rights lawsuit seeking $75 million from the city. In 2009, Hupy and Abraham secured a $3 million civil rights settlement, the largest police brutality case in Wisconsin history.